Inbound insight mailed directly to your inbox. In the increasingly competitive environment of healthcare SaaS, making your brand stand out can be a serious headache. We’ve found that one of the most effective ways to help our healthcare software clients in areas like brand recognition and engagement, is a social media strategy. This might seem a little unexpected - after all, isn’t social media more for B2C? Why should you spend time and energy promoting your SaaS in a network designed for cat photos and gossip? These days, B2B marketers are all about social. In a recent study, Forbes found that 92% of executives who make purchasing decisions were influenced by social media in the past year. As a result, social media has become a crucial part of any B2B marketing strategy. It’s not just about branding, either: over half of all B2B marketers have generated leads on social. Getting real results on social media takes more than just setting up a Facebook page. To set your healthcare software apart, you’ll need a strong, well-defined and well-executed social media strategy that helps buyers understand what makes your product different from the rest. Here are the 8 steps to creating and implementing a social media strategy that will help you meet your healthcare SaaS marketing goals. When you're developing software products, you likely spend hours considering user behavior - how your customers will respond to your software, what features they need, what makes them tick. Applying the same rigorous investigation to your buyers will pump up your marketing efforts enormously. Before designing your social media strategy, apply your research into your buyer personas to think about the best ways to reach them, where you’re likely to find them, and what kinds of content will most likely appeal to them. Keep in mind that people, not businesses, use social media - you’ll be more likely to appeal to your target buyers if you create social content that amuses, entertains, and informs, rather than sharing dry business data. When creating and implementing a social strategy, start by deciding on clear, well-defined SMART goals for your social media channels. Do you want to increase brand awareness? What would that look like for your business? Are you hoping to increase leads coming into your website? How will you measure that? Do you want to increase your interaction with your customers? If so, do you have the resources available to handle increased communication? How will you track the impact of handling CRM via social media? When B2B marketers think social media, they think LinkedIn. And they’re not wrong - Sprout Social reports that 63% of marketers considered LinkedIn the most effective B2B social media platform. 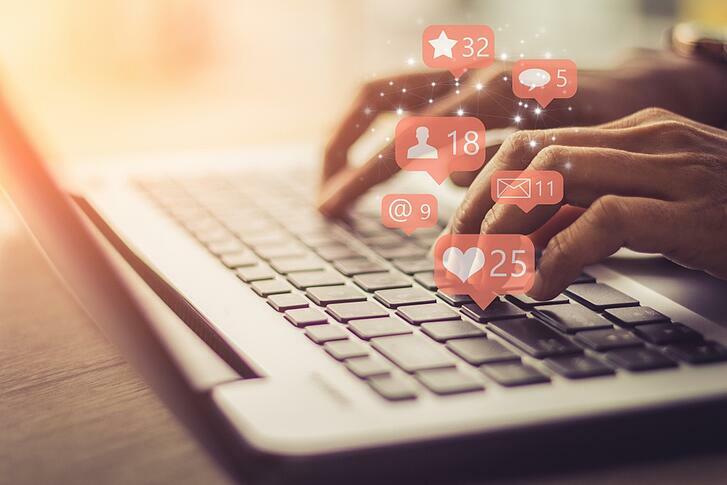 But that doesn’t mean it’s the only channel out there - depending on your product and buyer, you may need to consider building a presence across multiple channels, such as Facebook and Twitter. Social Media Examiner found that B2B marketers are even venturing further afield into less business-dominated channels like YouTube, Instagram, and Pinterest - if you’re looking to build brand awareness, rather than direct social selling, this might be a great option for your healthcare software, as you'll find yourself in a less crowded space for B2B marketing. Social media is changing. For instance, Facebook prioritizes paid content in Newsfeeds, and organic content reach is as low as 2% and on the decrease. As a result, almost 60% of marketers rate paid social more highly than organic. 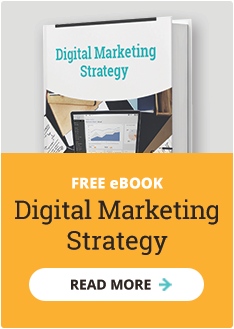 This doesn’t mean you should ignore organic traffic - just that, when you’re putting together your social media strategy, you should definitely leave room in your marketing budget for paid ads. In healthcare software marketing, you’re always up against heavyweight firms with major marketing budgets. Competing with the big players means that to reach your market, you'll need to define your niche clearly, then speak to that niche in their language. Creating a compelling brand story is a great way to get noticed. “Storytelling”, the marketing buzzword of 2017, is still holding strong this year, and you can expect to see more companies creating a series of messages, aka “stories”, to showcase their brand rather than just offering single-shot communications. But storytelling should be about more than just a marketing gimmick - telling your company’s story enables you to make the human connection with your buyers and users so often missing from healthcare software marketing. Having a clear idea of your brand, your message, your voice and why you do what you do will make sure you get ROI from your social media strategy. No social media strategy in 2018 can be without video. Video now dominates the internet: the Cisco VNI (Visual Networking Index) Forecast Report predicts that by 2020, video traffic will be 80% of the total consumer internet traffic. Video has exceptionally high ROI and makes for highly memorable content. In a technical market like healthcare SaaS, explainer videos can have a huge impact: Wyzowl reports that 81% of their survey respondents had been convinced to buy a product or service by watching a brand’s video. Of course, the main purpose of social media is exactly that - to get social. When you’re creating your social media strategy, once you’ve defined your goals, created your content and started sharing it via your preferred channels, you can’t forget that you’ll need to invest time and resources responding to user comments, sharing user-generated content, and building a community by engaging with your followers. Once you’ve defined your social media strategy and got it up and running, it’s time to automate. Automation efforts should be focused internally, not on customer-facing marketing - for instance, scheduling your social media posts across multiple channels to save yourself time. Social media marketing can be time-consuming - no wonder HubSpot reports that 64% of marketers saw the value of using marketing automation within the first six months of its implementation. Planning your content so that you’re 2-4 weeks ahead means that you have time to create high-value content, while still keeping current. However, while you may automate your posts, make sure they are still written in a way that reaches your audience on a personal level. We hope you’ll find these steps to creating and implementing a social media strategy for healthcare software helpful. If you’re short on time, or would like to know more about how we help our healthcare SaaS clients get great ROI on their social media strategy, please get in touch to schedule a free 30-minute consultation with Spot On.